Hot mix asphalt is an engineered mixture of aggregate, or stones and sand, with liquid asphalt cement, a petroleum product. Varying sizes of aggregates are heated then mixed, in exact proportions, with asphalt cement that has been liquefied at about 170 degrees Celsius. While the mixture is still hot, it is delivered to your driveway and paved on top of a base or sub-grade that has already been prepared. Very soon after paving, the mixture cools and hardens and you can drive on it right away. Asphalt may initially in the first few years show signs of softness (easily damaged) and more particularly during warmer weather; this is even more evident when the designated mix contains C170 asphalt rather than C320 which is of a stronger consistency. You will recognise several benefits with Hot Mix Asphalt, compared to other more costly options. Hot Mix Asphalt is designed to flex and “give” with slight settlements. Hot Mix Asphalt lends itself readily to the types of service that are usual in residential areas. The Best Option Full-depth Hot Mix Asphalt driveways are built entirely of Hot Mix from the soil sub-grade up. Full-depth driveways keep water out of the pavement. Water never enters the pavement to swell. Full-depth asphalt provides a better balance of strength and flexibility plus durability than any other material. For improved soil stability, it is recommended that topsoil containing clay be removed or modified. A solid sub-grade requires thorough compaction. Paving with Hot Mix follows. A 100mm thickness maybe adequate, but 125mm or even 150mm of depth Hot Mix will assure you of a stronger, stable driveway under a wider range of climate and loads. 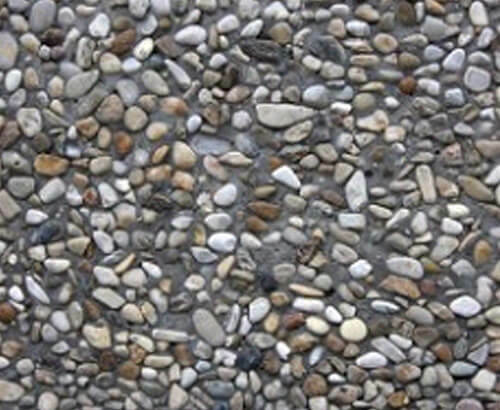 As an option, use 150mm to 200mm of compacted crushed rock as a base under 75mm of Hot Mix. Hot Mix Asphalt is best placed in “lifts,” or layers. For example, a total of 50mm to 75mm may be spread as two to three layers each 25mm thick when compacted. Placing an Overlay Driveways of either asphalt or concrete can be overlaid with Hot Mix Asphalt—with excellent results. Usually for driveways, a surface course of 30mm to 50mm thick will suffice. Before paving, be sure that any serious holes or cracks are repaired otherwise the trouble spots may carry upward through your new pavement. Check gates for clearance, know who’s responsible for re-hanging them, if needed. Decide whether you, a plumber, or someone else will raise any water valves or sewer inlets to meet the asphalt around them. Surface drainage is very important. So-called “ponding,” or standing water, on or near the driveway, is undesirable. 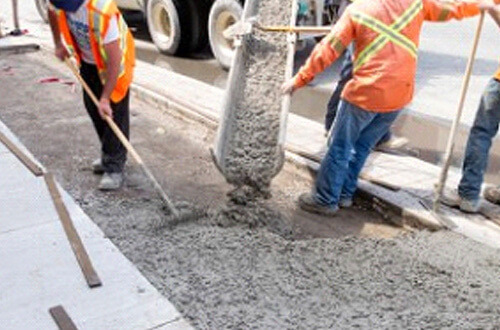 Our quotation will details such items as the responsibility for grading work and accuracy, for compacting the sub-grade and base, for measuring compacted pavement thicknesses, for pavement slopes and smoothness, payment schedule, and guarantee of the finished product. Our concrete materials are sourced from the best suppliers within your area to minimise the cost of cartage to your job. All aggregates used in Exposed Aggregate are a naturally mined resource and as such, may vary in size, colour and composition. Whilst we endeavour to ensure consistency, precision and accuracy of concrete batches, it is only natural that finished jobs may show some variance to a sample or job you may have seen. It is the character of naturally quarried materials that some variation is inevitable and oxidation of naturally occurring irons may occur on the surface, which may cause some staining over time. This is a natural process that is beyond our control.